Remember in this post how I teased you with a unique monogramming idea for the towels I ordered from Pottery Barn Kids? Well, they have arrived and I couldn't be more pleased. This photo is pretty true to color (towel-wise anyway, my walls certainly do not glow so bright in person). 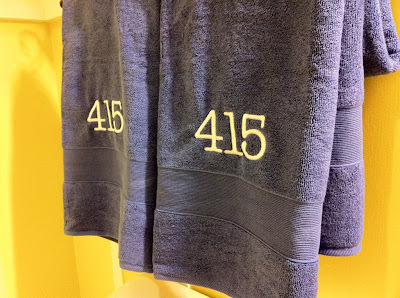 This photo makes the towels look purple. They are not. I took these pics with my iPhone last night and the color is off in this one. 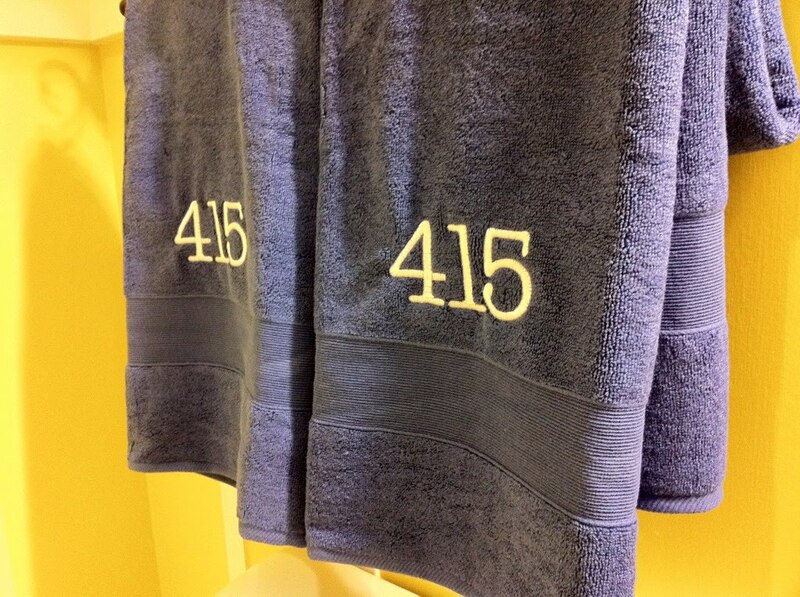 The towels are so cute! They are this great punch of royal blue and I love it. 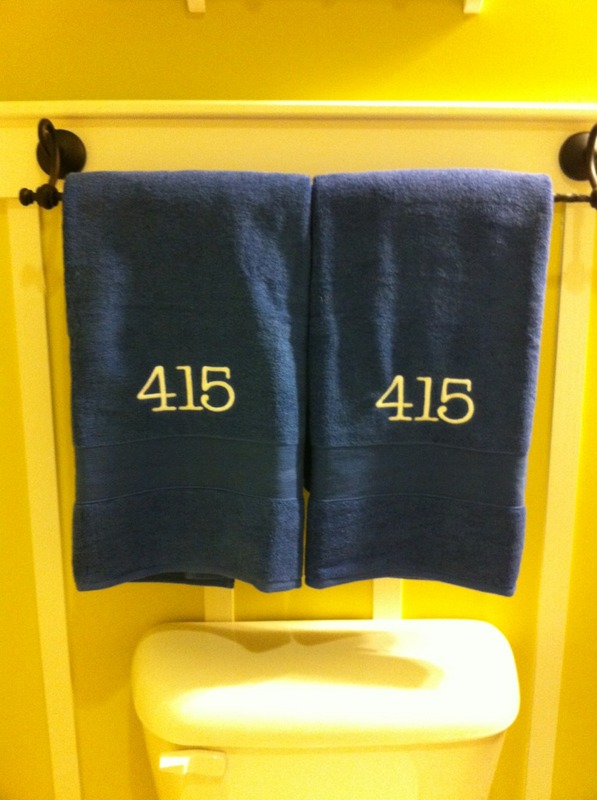 We just can't ever move since our house number is on the towels. That or only buy homes with a 415 address.